Date/Time: 19/2/’11 – 2:30 p.m. When looking at Cork’s team ‘damage limitation’ strikes ones mind immediately. Management at least have a plan – stack the middle third with big men, hope it pisses rain, make it into a dogfight and hope the score stays low. Hence physical players like Callinan, Cussen come in and Ellis starts again, and all start evidently out of position, Callinan a superior half-back, Ellis lacking the speed for half-back and Cussen similarly badly short in pace and athleticism for the half-forward line (or anywhere else). Regarding Cussen, one has to ask why exactly one of our few talented young hurlers (Cian McCarthy) is sitting on the bench in favour of an older, sluggigh player who has shown little at inter-county level. More promising decisions can be seen in midfield, where Brian Murphy starts again after a good display against Offlay and the re-introduction of Niall McCarthy, who looked in typically strong form in his cameo against Offaly. Elsewhere inside backs and forwards stick the same (bar a positional switch between Horgan and O’Sullivan) and all and all its a decent Cork selection that is designed to be physical and tough in whats guaranteed to be hostile circumstances. There maybe changes – Curran with Ellis, or Cussen with O’Connor, or Horgan with O’Sullivan but the team makes more sense on paper as is. 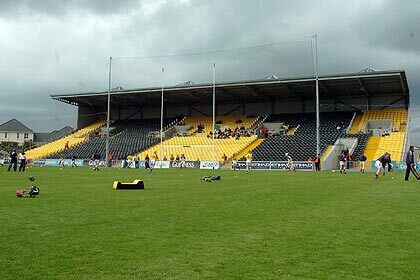 After a good performance and win against Tipperary, Kilkenny will be expected another win with a relatively inexperienced but still a very strong side. Patrick Horgan versus JJ Delaney is one of many interesting match-ups, the Glen man badly needing to show something against a physical and top class defender to silence doubters. The experienced Kavanagh in the corner should be a player Cork could target, although he would be well suited to either O’Sullivan or O’Connor, possibly a speedster like Naughton could do some damage against Kavanagh and his aging legs. Kilkenny’s half-back line just looks strong, Tyrell a dominant hurler wherever he plays, while you would fancy Tommy Walsh doing very well against Cussen. Similarly Fennelly is an exceptional midfielder, strong, direct and a very skillful hurler who will dominate matters in midfield, while the Kilkenny half-forward line has a nicely balanced look to it, Rice offering work ethic and strength in the air at 11 and flanked by the stylish Mulhall and the highly rated Fogarty. Inside, it will be interesting to see how Cadogan deals with Brennan, who in theory should trouble the Cork full-back (think Mullane in last year’s Munster final) although Brennan is struggling badly for form. Watch out for Hogan – like Fogarty, he is very much seen as the future of Kilkenny hurling once the likes of Shefflin have moved on. 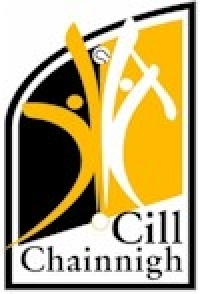 All in all its a nice mix of youth, experience and talent for Kilkenny. 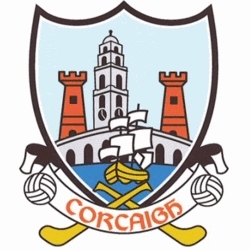 The Cork selection makes sense and is designed to ensure we don’t get bullied like we did two years back in Nowlan Park – as such, its a bit of a litmus test for a lot of Cork players, the question being can we stand toe to toe in the physical stakes with players like Tyrell, Fennelly and Rice. A vastly improved performance from the Offaly game will be needed for the victory, along with a lot of spirit and aggression. In truth, one can back no one other then Kilkenny, but Cork might be closer then I suspected after the Offaly game. Kilkenny by five.